@Step 1 - Thaw shrimp beforehand. 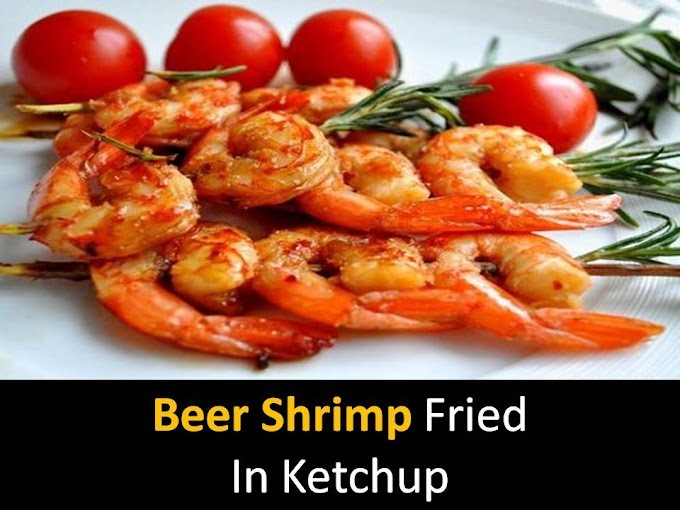 This is best done by putting the shrimp in a colander set above the bowl. Put the shrimp in the refrigerator for 8-10 hours. @Step 2 - Peel the onions and cut into small cubes. Peel the apple and also cut into small cubes. Heat in a skillet 1 tbsp butter, add onion, apple, and curry powder and cook over medium heat until onion is soft, 5 min. Remove from heat, add 1 tbsp water and mix cool it down. @Step 3 - Put the apple-onion mixture in the bowl of the blender and grind until smooth. Add mayonnaise and mix again. Season the dressing with salt and pepper and add finely chopped mint leaves and cilantro. Mix the resulting dressing with shrimp. @Step 4 - Cut the peel off the watermelon and removes the seeds. Cut each slice of watermelon into thin plates. Season with salt and pepper and sprinkle each plate with lime juice. Arrange the watermelon on plates put the shrimp on the watermelon. @Step 5 - In a bowl, mix the rocket with 1 tbsp lime juice and 2 tbsp oil, salt, and pepper. 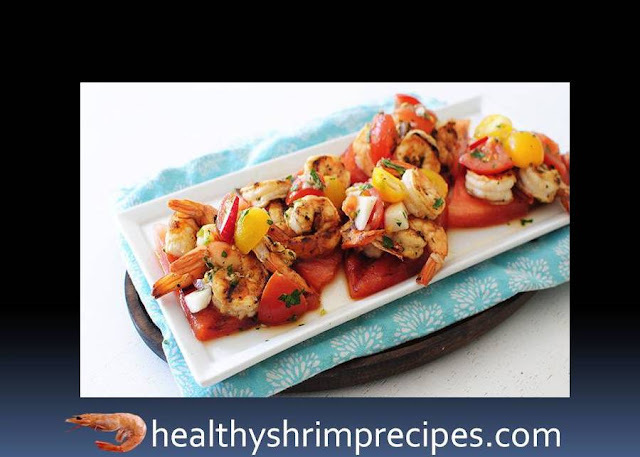 Your healthy Watermelon shrimp salad real simple is ready Decorate with rocket plates and serve.